Last nite a friend texted me that Robin Williams had passed away. I was sad, but I thought, "such is life". He reminded so many of us to smile. I grew up with so many of his movies; Patch Adams, Dead Poets Society, Alladin, What Dream May Come and so many others. He helped so many and yet struggled with his own demons so muc that he apparently took his own life. This is not a, "such is life" moment. Then, today at school we had a student bring a gun on campus and make it through homeroom and a couple classes before administration found out. However, a student reported it to administration, who took the tip serious; followed protocol, took the student and gun into custody and the day continued like normal without anyone knowing until around 2:10 when 7th period teachers began giving out letters to take home and our phone call system sent a message to our school community. According to the news media; such is life. But not at my school. My school has an incredible pride; Spartan Pride. It starts with small kids in kindergarten and it goes all the way up into the high schoolers and for many continues years after graduation. Such IS our life. Spartan pride means taking pride in all things Spartan. Our nerds, jocks, pretty girls and guys, band members, Pom squad, cheerleaders, robotics programmers, soccer etc are all valued in their own way and the really awesome part is that many of our students are more than one of these things and soo many more. My daughter is in middle school and is just learning what it means to be a Spartan. Her swim team is the Tigers. Last nite I talked about our team to new and prospective members. I was supposed to (nicely and politely) tell our families that on top of spending tons of time at the pool for practice, paying meet fees and monthly dues, volunteering at meets and paying for "extra" goggles and caps that they were also supposed to help fundraise for the team too! (Truly, such is life!) I did tell them, but I told them why it was so important. 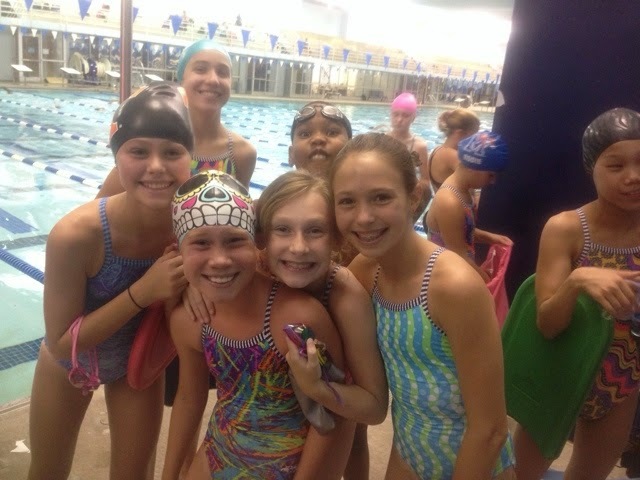 That sweet girl who hugged her mama at a swim meet a few weeks ago is now in the same group as my sweet girl. And tonite she was EXCITEDLY welcomed by the "big girls". Call it Spartan pride, call it Tiger pride, call it good sportsmanship. These girls make me remember what I'm doing. I'm teaching my kids. I'm teaching your kids. I'm hoping to teach and remind them why it is so important to be kind and considerate ambassadors. I help them know and share that there are people to reach out to. My daughter is becoming one of those people. I am one of those people. Such is my life.